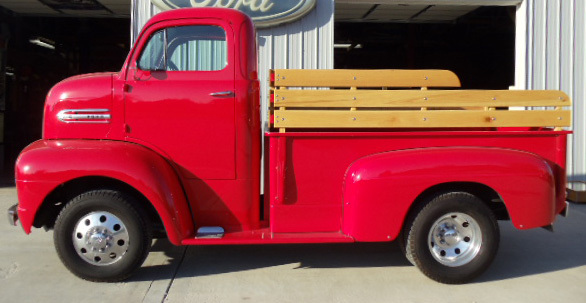 Ford COE. 2200 Miles on build. white oak bed and rails w/marine varnish. set on 1979 ford 1 ton dually frame. factory steel painted wheels w/beauty rings included. multiple trophy winner, trophys included. viper red. classic instruments.